American psychiatrist who developed a theory of psychiatry based on interpersonal relationships. From The Psychiatric Interview (1954). 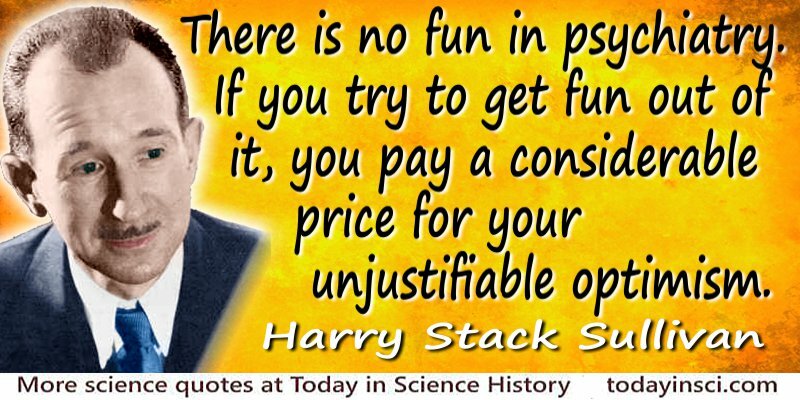 Science Quotes by Harry Stack Sullivan. 21 Feb - short biography, births, deaths and events on date of Sullivan's birth. The Interpersonal Theory of Psychiatry, by Harry Stack Sullivan. - book suggestion.